We are on the cusp of a revolution in how we think about and experience mobility. No sooner had we invented the wheel than we started thinking about how to automate the mundane task of transporting ourselves and our goods from A to B. In around AD 60, the Greek inventor Hero designed a “programmable cart” (1) for this purpose. But now the technology may at last be on the horizon. Connected and automated vehicles have the potential to transform road travel, making it safer, cleaner, and more enjoyable, while improving mobility and creating new business and industrial opportunities. • The UK has some of the world’s safest roads but 65 people still die or are seriously injured on our roads every day. We know that in the UK 86% of road collisions involve human error – automated vehicles, by removing (or reducing) that factor, could save lives. • Congestion is a barrier for economic growth. It is estimated to cost the UK economy £2bn per year, and could rise to £10bn per year in 2040. Connecting vehicles to the transport infrastructure and to each other could potentially address those issues. • Currently, 23% of our population is over 60. That will rise by 2050. 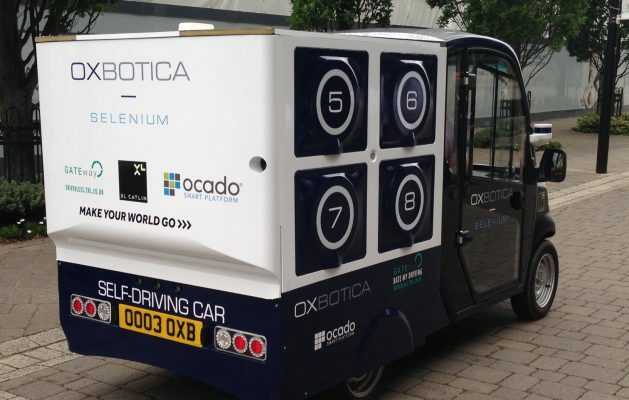 Automated vehicles could help serve the needs of elderly people by making travel easier. We are also keen, as part of our Industrial Strategy, to build capability to serve the transport market of the future. Mary Barra, CEO of General Motors, has stated that she feels “the auto industry will change more in the next five years than it has in the last 50”. But with this heady sense of impending change is an equal measure of uncertainty about what shape this change will take. 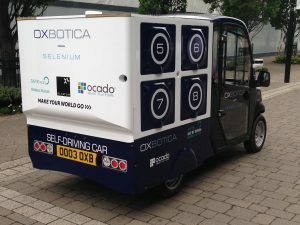 The future routinely defies the most informed predictions, but we have some world-leading capabilities and recently estimated that the global market for connected and automated vehicles alone could reach £907bn by 2035, with the UK potentially able to serve up to £52bn of that market. For this reason, it is the UK’s ambition is to be a world leader in future transport technologies, as demonstrated by the Industrial Strategy’s Future of Mobility and Clean Growth Grand Challenges, and the commitment to have self-driving vehicles on our roads by 2021 (2). The Government has established the Centre for Connected and Autonomous Vehicles (CCAV) , a joint Department for Transport, and Department for Business Energy and Industrial Strategy policy team, to coordinate activity. CCAV is working with industry and academia to secure these potential benefits for the UK, including £257m (to be matched by industry) in Research and Development, and in testing infrastructure to augment one of the most open regulatory frameworks in the world. Do you want to learn more? I’ll be speaking at the “Transport Now and in the Future – What are the issues?“ Day Conference on Saturday 17th March and will be happy to answer your questions as best I can. Michael Talbot is Head of Industrial Strategy in the Centre for Connected and Autonomous Vehicles (CCAV) which was set up to make the UK the destination of choice for the research, development, demonstration, and deployment of connected and autonomous (self-driving) vehicle technologies. Prior to joining CCAV, Michael was Head of Horizon Scanning in HMG’s Horizon Scanning Programme, establishing the cross-Government Emerging Technologies Community of Interest which reports to the Cabinet Secretary’s Advisory Group. Michael holds Master’s degrees from the Universities of Toronto and Oxford. (2) Department of Business, Energy and Industrial Strategy (2017), Policy Paper: Industrial Strategy: the Grand Challenges here.